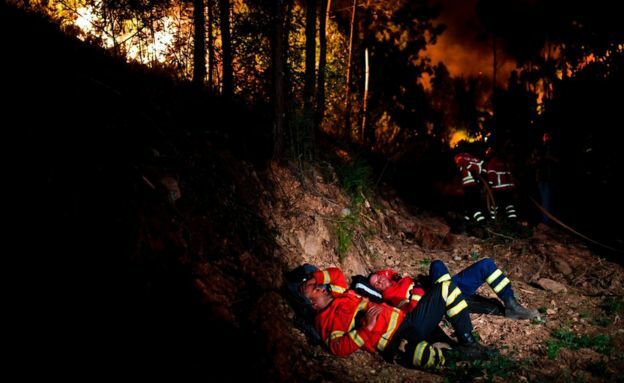 "Unfortunately this seems to be the greatest tragedy we have seen in recent years in terms of forest fires," said Prime Minister Antonio Costa. 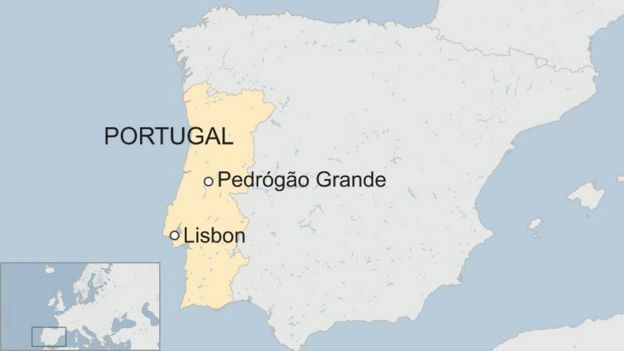 Six firefighters are seriously wounded, national broadcaster RTP said, and two are reported missing. 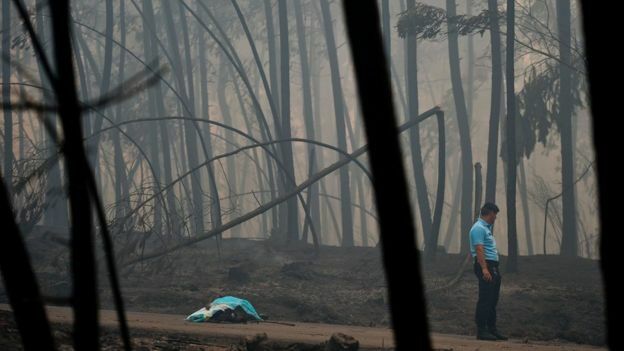 The Correio do Manhã warned that many areas hit by the fire had not yet been reached by authorities, so the death toll was likely to increase. 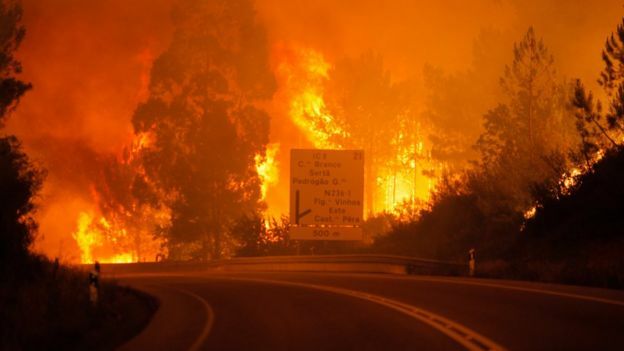 The flames spread "with great violence" on four fronts near Pedrógão Grande, Mr Gomes said. "I am completely stunned by the number of deaths." We have had large-scale fires before over the past couple of decades - this year is not unusual in that respect - but it is certainly unusual to have so many fatalities in one place. Portuguese officials are visibly shocked. 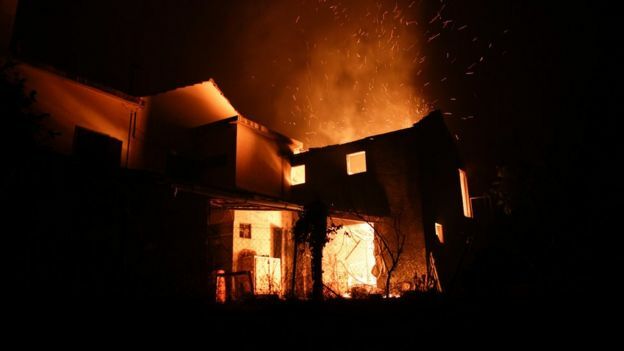 There were very particular circumstances with the lightning strikes here - this fire started with a dry lightning strike. There has been rainfall elsewhere but there was no rain there, and this is a heavily-forested area.